"People go out the door and they're like, 'Thanks for having me!'" Nine days. That’s how long it took Stephanie and Andrea French to open The Pie Shoppe. The tiny (310 square feet) space fell into their laps when a friend who previously rented it decided to move to a bigger location. With essentially no time to think about it, the sister duo dove right in. 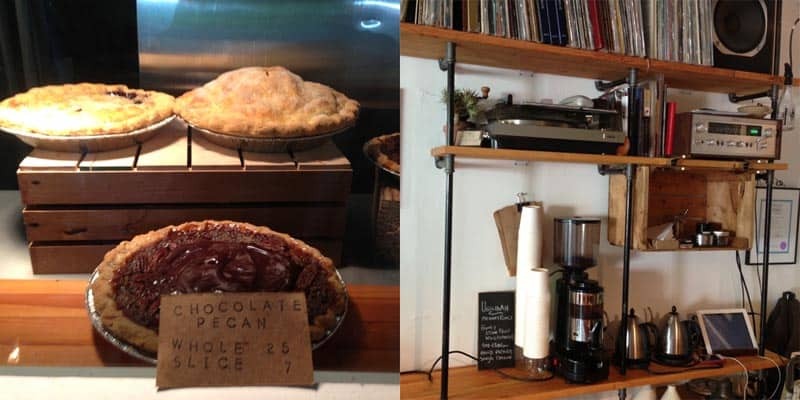 Enlisting the help of talented friends (the art, the tables, the ceramics—it’s all made by local friends of the girls), they turned what used to be a ceramics studio into a homey, warm, friendly shop where literally the only things you can buy are coffee and pie. It’s simple, but that’s why it works. Six months after that initial nine-day swoop, the French sisters are still going strong. Open six days a week and operating on the hours of 11am “til the pies run out” (which they always do), they’ve already established themselves in Vancouver’s Chinatown neighbourhood. The Pie Shoppe has a strong following, including a slew of regular customers, and its popularity is only growing. 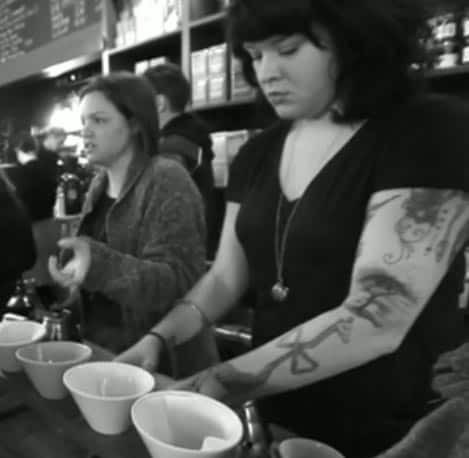 Aside from the delicious daily rotating selection of pies that are sold whole or by the slice, the sisters also own and sell organic, free trade Panoramic coffee (which Stephanie roasts herself, and which has been doing well at pop-ups across the city since last spring) in single cups by either manual pour-over or Aeropress. 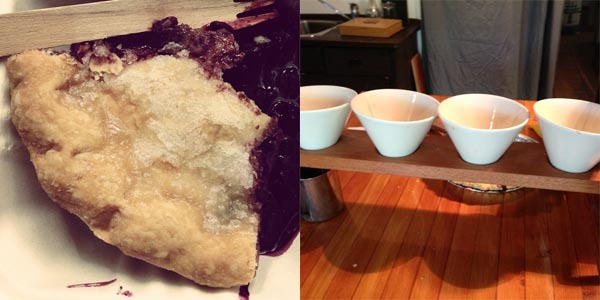 Pie and coffee. That’s it. Born in Ottawa but now both self-proclaimed Vancouverites, Andrea, 24, and Stephanie, 28 grew up loving to eat and cook—so really it’s no wonder their lives took them to this place. And while pairing with a sibling might be scary to some, for them the partnership was just right. And even when they’re not working, the business partners often end up together. When it comes to starting your own business, The Pie Shoppe girls emphasize having a business partner (someone to fall back on), creating a business plan, getting connections, and, above all, making sure you have a product that people want. It sure worked for them.